White Lodge Quinoa is a gold coloured buck with blue eyes, frosted ears, and white markings. He comes from excellent lines from Ontario, British Columbia and the United States. His sire comes from British Columbia and his grandfather is an imported US buck. His sire's dam, CH Cedar Green Twilight VG88, has an amazing udder and easily feeds quadruplets. 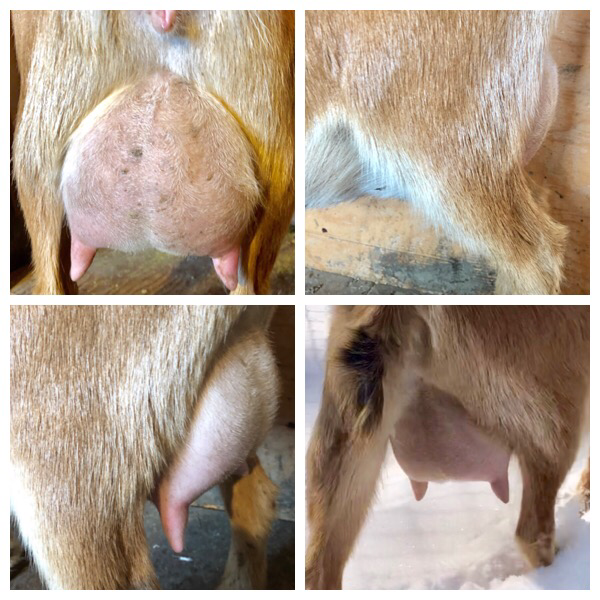 Her udder is wide and has a strong medial ligament. In 2017, she was classified as Very Good 88. Cedar Green Twilight became a Permanent Grand Champion at the 2017 West National Goat Show. She has been Grand Champion at least 3 times with 3 different judges. We are very glad to have both her granddaughter and grandson! Quinoa’s half-sister, White Lodge Cordelia, won Reserve Champion at the Peterborough Goat Show in August 2017. Quinoa's paternal great grand-sire, Old Mountain Farm Frankincense, was classified as VEV 89, and his great grand-dam, Camanna CT Jocelyn is a Permanent Champion and was classified at VVVE 89. 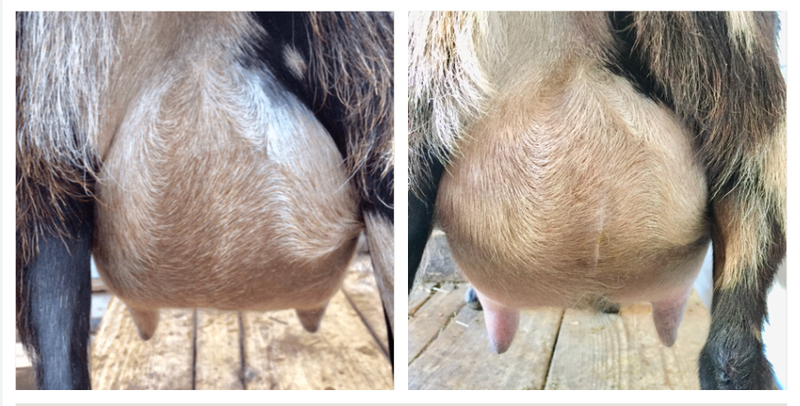 Quinoa's dam also has a lovely udder, which is even more impressive considering that she is a first freshener. His maternal great grand-dam, Tripping Billies Delilah, won Reserve Grand Champion and Best Udder in her age group at the 2014 East Nationals. She has also won a restricted leg towards her Permanent Championship. His great grand-sire, Sky River Meadows Hades, has earned a full leg towards his Permanent Championship.